Crackberry for kids: are we sending the wrong message? Smoking Smarties” A dangerous new trend? Dr. Lisa provides health commentary for numerous TV shows and other media outlets. She has been a contributor on the Dr. Oz Show, the Today Show, the Steve Harvey TV Show, the CBS Early Show, Good Morning America, CNN, and ABC Nightly News. She has practiced medicine in a busy clinical setting for over 15 years and has lectured to corporations and academic institutions. Dr. Lisa is a specialist in Pediatric Rehabilitation. Her medical practice is dedicated to the care of children with disabilities. She is the Medical Director of Pediatric and Adolescent Rehabilitation for KidsRehab, a joint program between LaRabida Children’s Hospital, and Schwab Rehabilitation Hospital. She is an assistant professor in the departments of Pediatrics and Orthopedic Surgery at the University of Chicago ’s Pritzker School of Medicine. 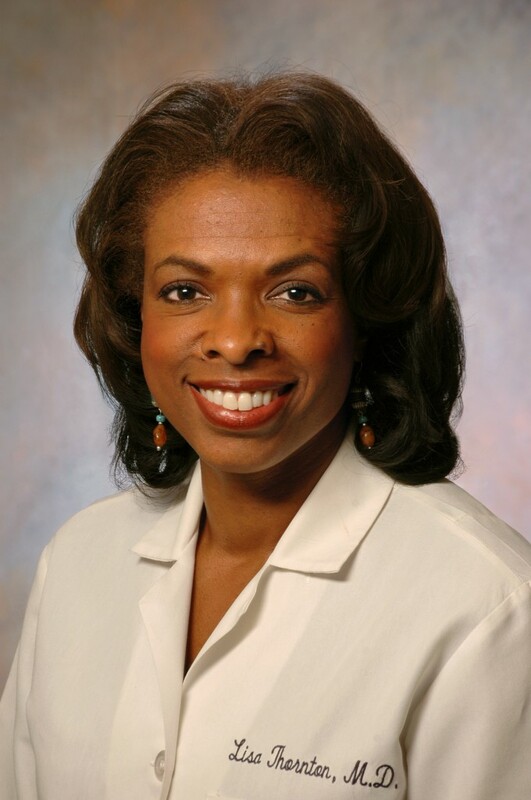 In addition to her numerous network television appearances, she has been the guest host on the ABC News Now webcast, “Healthy Life” on ABCNews.com. She is the former host and medical consultant for the weekly health magazine show, “Health Corner” which aired on Lifetime TV for five seasons. She wrote the forward to the Weight Watcher’s book, “Eat! Move! Play! A Parent’s Guide to Raising Happy, Healthy Kids” and she wrote the monthly health column for Chicago Parent Magazine for five years. Dr. Lisa leads audiences to a greater understanding of a variety of topics including childhood obesity, concussion, traumatic brain injury, parenting, childhood disability, injury prevention, and overall child health and wellness. Dr. Lisa lives near Chicago with her family. © 2017. Dr. Lisa Thornton. All rights reserved.